Whispering Soul Streams: armfuls of love to you...happy valentines! My living room hardwood......transformed into one massive carpet of love in shades of pink and red. 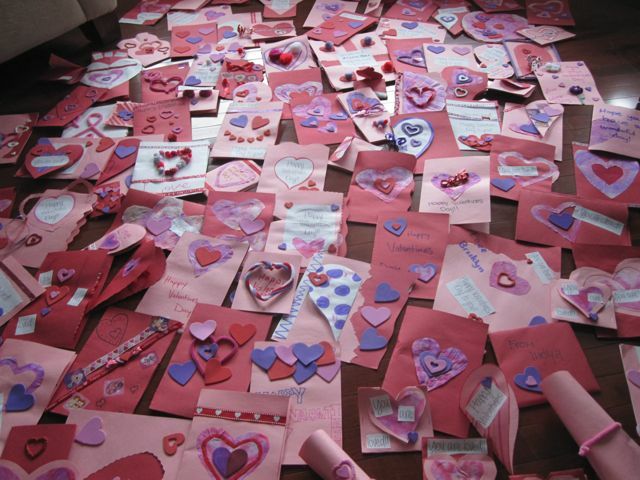 140 handmade Valentines Cards later......I witnessed in complete amazement as the Grade 5/6 kids from church passed out their Valentines cards, roses and chocolates to the eager seniors at the retirement home. I don't know if I've ever seen faces glow like that - not just the seniors, but the kids. It was a wonder! 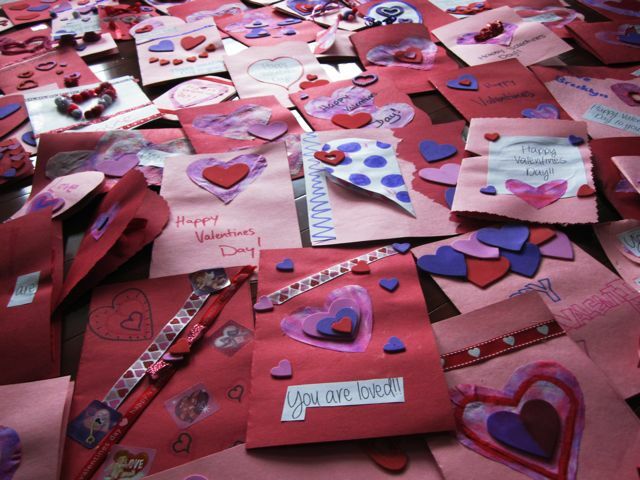 We called the event "Spread the Love" and let me tell you, that's just what happened. As I watched all this loving and caring, all this youth and age, all this giving and receiving and giving again, I realized that you can't "add" love. LOVE ONLY MULTIPLIES. It multiplies for everyone who gives it, for everyone who receives it, for everyone who witnesses it and chooses to enter in. And so to each of you today...I send you love. May it multiply in your life as you give and receive it. May your soul be filled to the brim and then filled even more till you overflow with it.